The Discover it family of credit cards has a new member: the Discover it® Miles card. It’s a travel rewards credit card with a simple, flexible approach to reducing the cost of travel. The card accrues miles at a rate of 1.5 per $1 spent, with one mile always equivalent to $0.01. Accrued miles never expire and can be redeemed in any amount, either as a statement credit for travel-related purchases or a cash deposit to a linked bank account. And, the Discover it Miles card comes with generally reasonable fees and rates – particularly, the lack of an annual fee and foreign transaction fee set this card apart from many competitors. That said, if you’re looking for 5% cash back on purchases in rotating categories like gas and grocery stores, a perk of the original Discover it credit card, you’re liable to be disappointed. And on certain metrics, the Discover it Miles card fares poorly in a head-to-head comparison with its competitors. However, for anyone considering adding a new travel rewards card to their wallet, Discover it Miles deserves a closer look. When you sign up for the Discover it Miles card, you enjoy a 14-month introductory APR of 0% on all purchases and 10.99% on balance transfers. There is no annual fee. Late payments typically come with a $35 fee, regardless of the size of the late balance, though the first late payment fee is always waived. Cash advances carry a transaction fee of 5% of the total advance amount (or $10, whichever is greater). Balance transfer fees are 3% of the transferred amount. There’s no foreign transaction fee with this card. For every $1 you spend with your card, you get 1.5 miles, with no maximums or restrictions. Each mile is worth $0.01, regardless of how it’s obtained or redeemed. You can redeem your miles in any amount (in one-mile increments) as an electronic cash deposit to any bank account, or as a statement credit against qualifying travel purchases. You don’t get any bonus for redeeming your miles as a statement credit against travel purchases – redeeming one point in this way simply knocks $0.01 off the purchase. As soon as your account has been active for 12 months (12 consecutive billing periods), Discover doubles all the miles accrued thus far, regardless of whether you’ve redeemed them. For instance, if you accrue 5,000 miles during your first year as a cardholder, you receive an additional 5,000 miles on your 12th statement. Discover never levies an interest charge of less than $0.50. In other words, if you run a very low short-term balance on your card and the monthly interest charge amounts to less than $0.50, it won’t appear on your statement. However, you’re charged the full amount once your balance accrues more than $0.50 in interest – for instance, if you hold that very low balance for three consecutive months. This feature online or through the mobile app allows you to easily switch off new purchases, cash advances, and balance transfers. This is useful if you ever lose your card or see any suspicious activity in your account. Like other Discover credit cards, including the original Discover it card, the it Miles card includes your up-to-date FICO credit score on every monthly statement at no additional charge. No Annual Fee. Discover it Miles doesn’t charge annual fees. That’s great news for frugal cardholders who don’t want to deal with a recurring charge just to keep their accounts active. No Foreign Transaction Fee. This card doesn’t charge a foreign transaction fee, potentially saving folks who routinely travel outside the U.S. a boatload. Many competitors charge fees as high as 3% for international transactions. Long 0% APR Promotion for Purchases. Discover it Miles has a 14-month 0% APR promotion on purchases. That’s great news for new cardholders looking for low-cost financing on major purchases – perhaps a once-in-a-lifetime trip. Flexible Travel Rewards. You can redeem your miles for a statement credit against travel purchases made for any date, with no blackout dates or carrier restrictions, and in any amount starting at one mile or $0.01. Some other travel rewards credit cards – including Blue Sky from American Express and the Delta SkyMiles family of credit cards – do have blackout dates or other temporal restrictions. 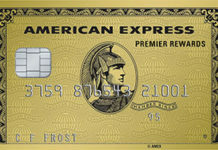 Such carrier-specific cards as the British Airways Visa Signature card and the American Express Gold Delta SkyMiles card typically prohibit you from redeeming points with other airlines, hampering your flexibility if you don’t travel to or from airports served by the proper carrier. Free FICO Score With Your Monthly Statement. All Discover it Miles cardholders receive a free, up-to-date FICO score on every monthly statement. This is a nice benefit if you want to keep close tabs on your credit score but don’t want to pay for a credit monitoring program or purchase credit scores à la carte from one of the three major bureaus. Many other travel rewards cards, including Blue Sky and Capital One Venture, don’t come with credit scores on each account statement. No Rotating Categories. With the Discover it Miles card, you earn 1.5 points for every $1 spent on all purchases. There aren’t any rotating categories, such as gas station or department store purchases, that you need to keep track of and sign up for each quarter. This is a great feature if you prefer not to worry about whether you’re getting the most out of your credit card – with Discover it Miles, you can always rest assured that you are. Many other cards, including the original Discover it card and Chase Freedom, do require you to sign up for rotating categories each quarter. Low Rewards After the First Year. After the initial 12-month double miles period, your Discover it Miles card accrues 1.5 miles for every $1 you spend on an unlimited basis. That’s a slower rate of accrual than some other travel rewards cards, including Capital One Venture Rewards Credit Card, which awards 2 miles for every $1 spent, also unlimited. No Card-Specific Discounts on Travel Purchases. Though it does include access to Discover Deals, the company’s proprietary online shopping and discount portal, this card doesn’t come with any card-specific discounts on travel purchases or redemptions. In other words, it Miles cardholders are entitled to the same deals and bonuses as all other Discover cardholders, including on travel. By contrast, Chase Sapphire Preferred cardholders enjoy a special 25% boost on travel-related redemptions made through Chase’s Ultimate Rewards platform, significantly boosting its cardholders’ purchasing power when redeeming accrued points. For instance, a $625 flight only requires 50,000 points, or the equivalent of $500, when redeemed through Ultimate Rewards. Other Chase cardholders don’t enjoy this discount. No matter how attractive their terms, certain travel rewards cards simply aren’t suitable for some of us. For instance, an airline-specific card like the American Express Gold Delta SkyMiles card doesn’t make sense if you don’t live near an airport served by Delta. Likewise, a card that restricts your redemption options with travel blackout dates or minimum cash back redemption amounts might not cut it if you value travel flexibility or don’t use the card all that much. With highly flexible redemption options, including no redemption minimums or carrier or date restrictions, the Discover it® Miles card definitely takes care of such problems. Plus, the lack of rotating categories makes it easier to manage and maximize your rewards. However, there’s no shortage of travel rewards credit cards out there, so it doesn’t make sense to apply for the first one you come across. Ultimately, you must choose the card whose features and benefits best fit your lifestyle, travel patterns, and overall spending habits. The Discover it® Miles card has a highly flexible redemption framework, including the ability to redeem miles for cash in any amount and no blackout dates or carrier restrictions. No rotating categories is a huge perk for hands-off cardholders. Plus, Discover it Miles is a decent option if you occasionally run a balance on your credit card, as it has no penalty APR and the first late payment fee is waived. However, Discover it Miles doesn’t offer special discounts or bonuses on purchases made with accrued miles. Also, due to a high cash advance APR relative to other travel rewards cards, you want to avoid using this card at an ATM. High marks for very flexible redemption options (including no redemption minimums), no travel restrictions, no rotating categories, and a generally attractive rate schedule. Drawbacks include a high cash advance APR and low rewards after the first year.